Alyssa Spencer and Gabbi Feilen learned about Charley’s Fund last summer, when their camp counselor showed clips from the film Darius Goes West and shared information about Charley’s Fund with the campers. 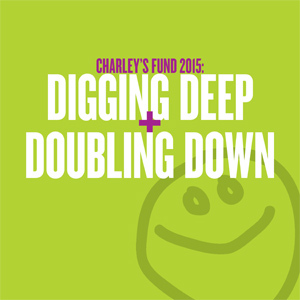 Back at home, the two high schoolers took it upon themselves to plan an art show to benefit Charley’s Fund! They took photographs and mounted them at a local cafe, then sold the art and donated the proceeds. Thank you Alyssa and Gabbi for planning a creative fundraiser all the way from soup to nuts!